This would be a great birthday gift for that someone special, A special bubblegum beads,rhinestone beads pearl beads and a rhinestone Turtle pendant necklace. The necklace is handcrafted by me so each necklace is one of a kind. I use wire to string the beads for security and a clasp. 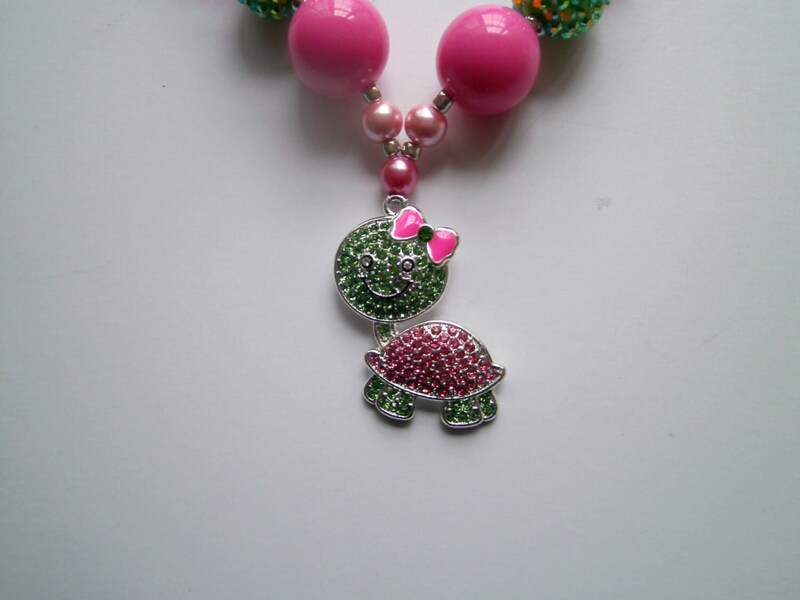 I use Pink and grean shiny beads to work with the turtle. The necklace is 16" in length not including pendant. This is great for toddlers, and bigger girls, would make a nice gift,great for photo props or to accessorize any outfit.